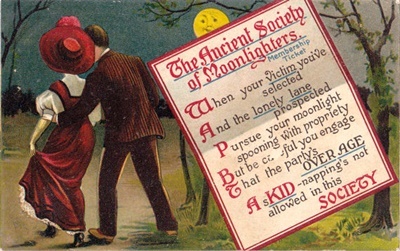 This entry was posted in Uncategorized and tagged 1900's, antique, flirting, humor, moonlighters, post card, postcard, spooning, vintage. I like doing stuff by the light of the moon! Does that make me a moonlighter? !